Lots of possiblities for this usable land. Approved a conditional use permit for church use. Close to the proposed Super Walmart and French Valley Parkway. Close to main freeways. Reduced Rental Rates. High Growth Residential Area. Located on major intersection with high traffic counts. Accessible from 2 major freeway off ramps. 2007 square foot New industrial. 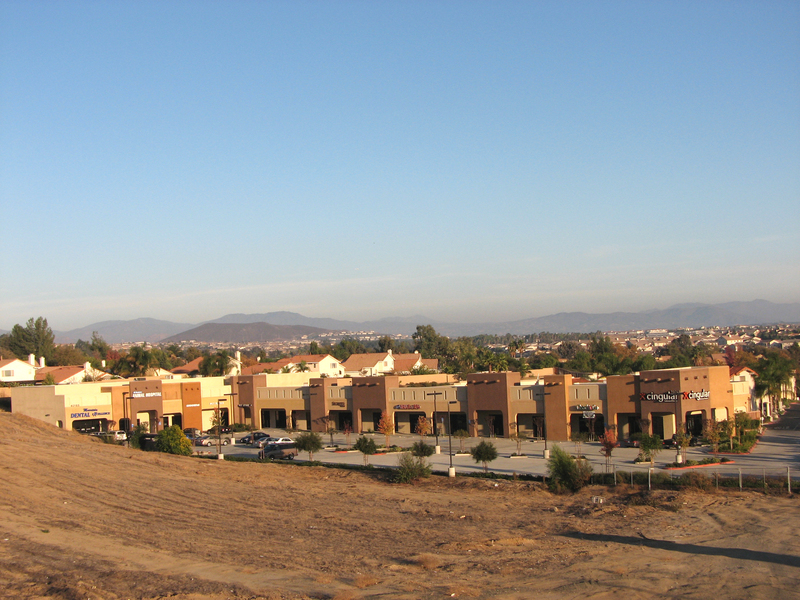 Commercial corner in the Rapidly growing Southwest Riverside County in Southern California. Beautiful new office condo for lease. Fabulous location, just minutes from 15 and 215 freeways. Best deal in town! This is by far the best turn key deal in the area. HURRY, THIS ONE WILL NOT LAST. Quick access to the 215 freeway.